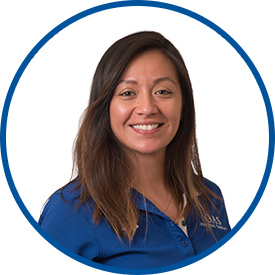 Ms. Fischer graduated with both a bachelor of health sciences degree and a master’s degree in occupational therapy from Quinnipiac University. She began her career working with children with special needs, using a Sensory Integration Approach. She then moved on to skilled nursing facilities, where she assisted older adults recovering from stroke, joint replacement and fractures, cardiac surgery, and a variety of other health conditions, to reach the maximum level of independence with their daily activities. Ms. Fischer was previously an occupational therapist with Orthopaedic Associates of Stamford. Previously, she worked at Kindred RehabCare at Edgehill in Stamford., CT.
She is fluent in Spanish as well as English, and conversational in French.